Here at The Amazing Blog, we think dads are pretty special, so we love to treat them to something they’ll love on Fathers’ Day to say ‘thank you’. For this reason, we have decided to feature four of our favourite gifts for dads! With just one week to go, now is your chance to find the perfect gift for your dad, whether you are on a budget or looking to spoil him! For the suave Dad who likes to sport a perfectly coiffed hair-do, the Dapper Dan Cigar Box is the perfect pick. Presented in a sophisticated wooden gift box, your Dad can whip his hair into whatever style he likes, with the choice of three Dapper Dan hair products! You can even throw in a personalised card to tell your Dad just how much he means to you. Satisfy his stylish side with Dapper Dan here for £60. For the creative and fun-loving Dad, look no further than Stylophone – the original pocket synthesizer. Take him back to his youth by giving him a gift that lets him make his own music! This electronic keyboard will get making his own retro sounds: the perfect way to make sure he chills out on the weekend after a long working week. Treat your musical man to the Stylophone here for £19.99. For the dad who has a nose for a good scent, why not spoil him with the new fragrance from M.Micallef? We love the Osaïto scent so much that we’ve even considered gifting it to ourselves, but have decided to save this amazing find for the dads this time. Encased in a luxurious marble-look bottle, this men’s fragrance exhibits notes of citrus, sandalwood, samphire and amber, and is the epitome of sophistication. 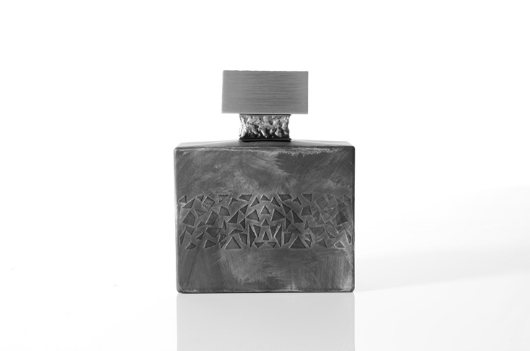 A special scent for a special dad, you can find Osaïto here for £195. For the dad with a beard or a mo, give him the gift of knowledge with A Gentleman’s Guide to Beard and Moustache Management. With this book, your dad will be more fashionable than ever by learning grooming tips inspired by famous facial hair aficionados. The perfect present for fashion-forward fathers, available here for £6.95.